Declining health, limited mobility, financial strains – clearly, aging is not for wimps. Though some challenges Mesa seniors face can’t be avoided, others can. Dental problems, for instance. Many dental problems common among Scottsdale retirees such as missing teeth, gum recession, tooth damage, and yellowed enamel, can be remedied. 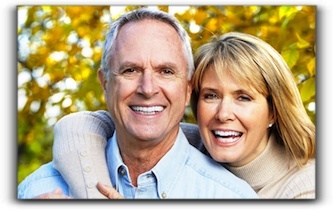 With modern cosmetic dentistry at Harris Dental, mature Mesa men and women can have an exceptional smile that looks as young as they feel (or wish they felt!). Regardless of your age, it is not too late to improve your smile – even if you have some missing teeth. At Harris Dental with locations in Mesa, Phoenix, Scottsdale, Chandler, and Queen Creek, we pamper our esteemed patients. We offer comprehensive general and innovative cosmetic dental services including porcelain veneers and dental implants. If you live in Phoenix, Chandler, Mesa, Queen Creek, or Scottsdale, call 480-428-0040 to schedule an exam and consultation. You can communicate with us about porcelain crowns and veneers, tooth-colored fillings, implant-supported dentures, invisible braces, and teeth whitening. Which Tooth Whitener Works Best in Chandler?